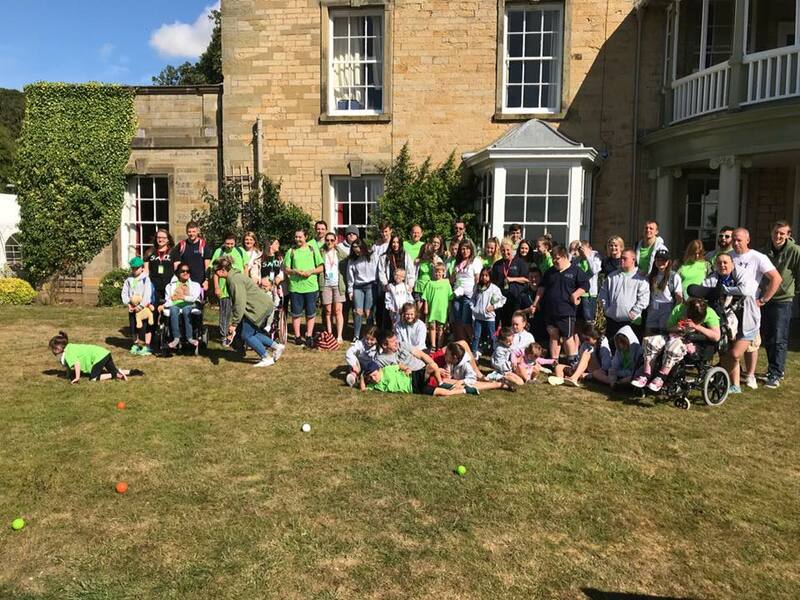 We delivered a 6 day Summer Respite Holiday for vulnerable children/young people 3-18 with disabilities and/or multiple additional support needs and their parents/carers at Wydale Hall in Scarborough 29 July – 3 August 2018. Activities were chosen prior to the event based on the interests/needs of those supported. During each morning, children/young people engaged in interactive group activities, arts/crafts, and/or 1-to-1 support within the soft play, quiet, and sensory spaces we created using specially-adapted equipment brought with us. These spaces enabled our trained volunteers to provide support based on each child’s needs including 1-to-1 sensory support for those with profound disabilities. During afternoons, children/young people engaged in day-outings to Flamingoland, Wipeout Park, the beach, Aquapark, and horse riding at a facility supporting children with disabilities. The children had a brilliant time, building new friendships and positive memories that will last a lifetime. We also held a ‘reserve’ of helpers that provided alternative games, quiet time, etc., as needed. Whilst children took part in these activities, parents/carers received approx. 8 hours of respite per day to de-stress and focus on their own wellbeing helping them better cope/continue carrying out their caring responsibilities, they are unable to otherwise experience this ‘me time’ due to their child’s support needs/financial limitations. During this time, parents/carers took part in ‘pamper’ sessions during which they received massages/manicures, enjoyed time with their partners and engaged in adult-only activities including bingo evening, girlie shopping and pub & pool day for dads/male carers, and day trips/lunches. Family-wide activities were delivered each evening during which families could simply enjoy each other’s company improving family relationships and creating new support networks to reduce their long-term isolation/improve resilience. Activities included a disco, special olympics sports day, fancy dress/games night, movie night, and ‘Got Talent’ Night. Overall, 3,040 volunteer hours were provided. We have continued to actively involve both children and their parents/carers in planning the activities, support, and outings provided throughout the annual respite holiday, providing opportunities for them to have their voices heard/valued and be in control of the support/respite accessed. The funding kindly awarded enables us to fully engage these ideas rather than pushing them to the side due to cost, helping us provide a range of activities, support opportunities, and day outings that meet both their interests and many unique needs. Funding also enabled SAMs Charity to offer parents/carers more adult-only activities. Although the general respite parents/carers experience during the respite holiday together with their social inclusion provides a wealth of positive benefits, we have always sought to provide a wide range of opportunities to holistically support and ‘restore’ those supported. Despite these overall goals, we have previously only been able to offer either only 3-4 adult-only activities or limited places on each activity due to the overall cost of providing such activities. However, funding secured for our 2018 respite holiday enabled us provide more activities than ever before, with all parents/carers actively participating in the full range offered including pamper massage/manicure sessions, bingo night, girlie shopping outing, pub & pool day for dad/male carers, and lunches/day outings all of which parents/carers perceive as luxuries that they cannot otherwise afford/access. Engaging in wider/full range of opportunities has greatly enhanced the overall respite received and helped ‘restore’ parents/carers so that they experience more significant, long-lasting outcomes. Parents/Carers are actively involved in service planning which ensures the opportunities provided are tailored to their specific likes/dislikes and overall needs. Mums in particular enjoyed the pamper massage/manicure sessions provided and, as a result, we are keen to offer such activities both during the 2019 annual respite holiday as well as throughout the year to extend the support provided to vulnerable parents/carers in Glasgow. Funding kindly awarded by the Better Breaks programme also supported SAMs Charity to secure additional grants from other trusts and foundations which enabled us to offer more places for more vulnerable families, helping us positively impact the lives of more families than ever before. Funding has enabled SAMs Charity to offer more places for more vulnerable families than ever before as well as has enabled us to provide a wider range of activities, support opportunities, and day outings for both children/young people with disabilities/multiple ASN and their Parents/Carers. This has had a significant impact on the charity’s overall aim of full inclusion for all children and well-tailored respite support to help their Parents/Carers continue coping with/carrying out their caring repsonsibilities. Whilst the overall Respite Holiday we provide is a significant expense, we feel that it represents great value for money in terms of the overall, lasting impact it has on the families supported and the immeasurable benefits they experience. Funding to run our annual Respite Holiday also gives our volunteers the opportunity to gain more experiences working with vulnerable children and families in different, unfamiliar settings: helping better prepare them for their own world of work, learning, and personal commitments especially for our younger volunteers who are still at college/university. In this way, the Project also provides immeasurable benefits for them as active citizens, making a significant contribution to the local community. In connection, individuals supporting SAMs Charity has progressed from simple volunteers to becoming qualified, full-time Carers in the Care Sector following their positive experience supporting/working with the children/young people we engage with. 30 children/young people with disabilities/multiple additional Support Needs will have taken part in a 6 day-long Summer Respite Holiday during which they will have engaged in many interactive group games and crafts; 1-to-1 sensory support opportunities; soft play time; days out, etc., that were previously inaccessible. 30 children/young people with disabilities/multiple additional support needs and 8 x siblings engaged in a 6 day-long respite holiday during which they engaged in many activities otherwise inaccessible including interactive games, arts/crafts, specially-adapted sports, 1-to-1 sensory, soft play, and day trips to Flamingoland, Wipeout Park, the beach, Aquapark, and horse riding. By engaging in these activities, exploring/taking on new challenges independently, and receiving positive confirmations from peers/volunteers, children with disabilities/multiple additional support needs gained/improved their independence, developed practical skills via play incl., social/communication, teamwork, and fair play and gained confidence/ positive self-esteem. Most importantly, the holiday enabled children that experience isolation/exclusion in the wider community to relax, be themselves, and build strong peer networks, with 100% of children stating they made new friends, helping them feel less isolated and more resilient. 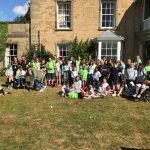 30 children/young people with disabilities/multiple additional support needs and 25 parents/carers will have taken part in a 6 day-long respite holiday during which they’ll engage in positive activities, experience an environment outwith their community, develop new friends/support networks and skills, and feel more supported. Our 6 day-long respite holiday enabled 30 x children/young people with disabilities/multiple additional support needs and 25 x Parents/Carers to engage in fun, inclusive activities that would typically be inaccessible due to each child’s support needs and financial disadvantage, offering unique chances for these families to relax, have fun, and enjoy each other away from the day-to-day stress/pressure/responsibilities at home: helping families feel happier, more positive about the future, and build stronger family bonds/relationships. 8 children siblings also took part, offering unique chances for able-bodied and disabled children to engage in fun, integrated activities, strengthening bonds between siblings and improving their attitudes towards each disabled child, e.g., reducing jealousy/frustration possibly felt due to all attention being on the disabled sibling(s). This helped improve inter-family relationships and enhanced the support structure for each disabled child helping them thrive in the long-term. Child A and Child B are twin girls that both have multiple additional support needs and are cared for by their single mother. Like many of the families we support, our respite holiday represented the family’s first holiday ever due to the lack of affordable and accessible venues/holidays. Although the twins had a brief period of ‘clinging on’ to their mum as they were in a new, unfamiliar environment, they were soon fully engaging in the various activities provided during which they built confidence, new social, communication, and teamwork skills, and overall independence. The girls particularly enjoyed the horse-riding trip as they had never seen/been around animals before and came to life when singing karaoke songs with their new friends. The social inclusion, improved confidence, and new skills have made a significant impact on the girls’ wellbeing, with their mother advising that she had never seen the girls go so long without having a meltdown or be so willing to take part in the wide range of activities provided. Child A and Child B’s mother also stated that the respite received and adult-only activities she engaged in helped her de-stress and feel more relaxed and, overall, ‘restored.’ she was thrilled at having so many opportunities to interact and share experiences/peer support with other adults as most of her time is spent with/supporting her 2 x children. These activities enabled her to build a number of new friendships with whom she/her 2 x girls have continued to meet with outwith the Project: helping them build a strong micro-community of support. Child A and B’s mother described the respite holiday as life-changing and stated that ‘I’m blown away by the support and care provided and can’t thank you enough for making me and my girls happier and healthier. We are so fortunate to have found SAMs.” “Wow, how can I describe the joy, fun, laughter, and inclusion that this [has brought] me and my girls. They’ve had fantastic days out experiencing & enjoying great activities and making great memories with new friends whilst I have [had] time to relax with the other parents. The volunteers are amazing and I love being part of this family.” Y. Conroy “Cannot thank all of the helpers enough. Not a single tantrum/meltdown all week from R.S. It’s been an amazing experience and one that cannot be truly explained till you are there. Thanks to you all.” L. Stoll “It’s been amazing, hilarious, unbelievable, and silly. We have absolutely loved it. A massive thank you.” H. Robertson Families developed new friendships and long-lasting support networks via shared experiences, with 100% stating they feel less lonely as a result of the holiday helping them feel better supported in the wider community which will reduce their isolation and improve their resilience and wellbeing. 25 Parents/Carers will have taken part in a 6 day-long respite holiday during which they’ll receive much-needed respite, spend time with their partner/peers, and engage in parent-only activities that were previously unavailable due to their child’s complex support needs and financial limitations. 25 x parents/carers of children with disabilities/multiple additional support needs benefited from our 6 day-long respite holiday. SAMs provided children-only activities/outings each day, giving parents/carers approx. 8 hours of respite per day to de-stress, relax, focus on their own wellbeing, and engage in ‘pamper sessions’ with massages/manicures, bingo evening, girlie shopping and a pub & pool day for dads/male-carers, and day trips/lunches. These opportunities/activities are a vital aspect of our respite holiday and helped parents/carers feel less stressed/hopeless, stronger and more able to cope with their caring responsibilities, and build positive friendships/support networks with peers. As a result of feeling ‘restored’ better able to cope, family communication/relationships improve, supporting each family’s long-term wellbeing/quality of life. Having previously attended our annual respite holiday 2 years ago, parent C was counting down the days until our July 2018 holiday as it is the only opportunity in which her family can enjoy a family break due to the lack of accessible holidays otherwise available. It is also the only opportunity for her to access extended respite over multiple days during which she can focus on her own wellbeing and engage with other adults away from the day-to-day stresses typically experienced. Parent C advised that she felt less stressed and more relaxed as a result of taking part in the respite holiday. She particularly enjoyed the pamper sessions during which she received a massage and manicure which are luxuries she is unable to afford/access but which helped her feel “stronger, more normal, and relaxed.” She also really enjoyed the many parent/carer-only activities we offered as they provided unique opportunities for her to relax and have fun without feeling guilty as she knew her children were having fun and being supported/looked after by our trained, committed volunteers. “As a parent of a child with additional needs, it can be a lonely, confusing place. Connecting with others parents and enjoying the respite that SAMs volunteers provide is priceless.” “We have had a wonderful relaxing holiday with the SAMs family. Lots of laughs, lunches, fancy dress, vino, bingo, genuinely the best 6 days ever.” L. Stoll 99% of Parents/Carers stated that they felt less stressed as a result of our service and support. 25 x parents/carers of children with disabilities/multiple additional support needs benefited from our 6 day-long Summer respite holiday. SAMs provided children-only activities/outings each day, giving parents/carers approx. 8 hours of respite per day to de-stress, relax, focus on their own wellbeing, and engage in ‘pamper sessions’ with massages/manicures, bingo evening, girlie shopping an pub & pool day for dads/male carers, and day trips/lunches. These opportunities/activities are a vital aspect of our respite holiday and helped parents/carers feel less stressed/hopeless, stronger and more able to cope with their caring responsibilities, and build positive friendships/support networks with peers. As a result of feeling ‘restored’ better able to cope, family communication/relationships improve, supporting each family’s long-term wellbeing/quality of life. Parents K have 2 x children with disabilities/multiple additional support needs and 1 x able-bodied child. The family began engaging in our services 8 months ago and signed up for our annual respite holiday after hearing positive feedback from other families engaging in our project. The respite holiday represented their first family holiday and parents K were thrilled to be able to access so many activities as a family. During the respite holiday, children engaged in a range of interactive activities, group games, sensory support, and day outings each morning and afternoon during which parents/carers received much-needed respite to focus on their own wellbeing, with parents K accessing a combined 96 respite hours of the total 1,200 respite hours provided to parents/carers over the 6 day-long period. During this time, parents/carers accessed massages/manicures at pamper sessions, enjoyed time with their partners, and engaged in adult-only activities including bingo evening, girlie shopping and pub & pool day for dads/male carers, and day trips/lunches. Having never accessed group outings with other parents/carers due to their children’s 24/7 support needs, parents K were thrilled to meet with, build connections, and befriend peers that fully understood their day-to-day stresses, pressures, and responsibilities and the affects that these have on partner/partner relationships as well as the whole family unit. We know from experience and feedback received from parents/carers that the adult-only activities we provide remain a key asset of our service as they enable parents/carers to share their experiences, what works/doesn’t work for them, tips for success, and general peer support in a casual but supportive environment, helping them feel more supportive, resilient, and capable of continuing their caring responsibilities. They also give parents/carers peace of mind as they know their children are well looked after/enjoying their own activities: helping them more fully engage/access the benefits offered. Parents K also received support from an experienced carer in the care sector who volunteers for our project regarding tips and new/additional routines to establish at home to better support their children’s overall development and manage behavioural problems arising from these additional support needs. The combined support received during the respite holiday and positive support networks developed with other isolated families affected by childhood disability helps parents/carers feel better supported not only during the annual respite holiday but long-after and within the wider community, helping them feel more resilient and better able to continue coping with/carrying out their caring responsibilities. Parents K advised that “this has been wonderful experience for our family and we’re delighted to have made such fast friends. It’s been so great to talk with other parents about issues affecting us all and bounce ideas off one another. I feel so much less stressed and am incredibly grateful to SAMs for letting us join in the fun! Thanks so much for this opportunity.“ “…I’ve had time to relax with the other parents, who soon felt like an extension of our family.” Y. Conroy “SAM Charity has been a godsend, I don’t know what we’d do without this support” H.R 98% of Parents/Carers stated that the holiday helped them better cope with their caring responsibilities. 100% of parents/carers stated that they are more aware of the support available to assist them in caring for their child(ren) in the future.